Now this is a tricky subject, not nearly so clear-cut as the last. The world is full of players who think everything under the sun should be banned. The scrub believes that any tactic or maneuver that beats him should be labeled “cheap” and consequently banned. In actuality, very little ever needs to be banned. Before we discuss what should or should not be allowed in tournament play, I should acknowledge that different forms of distribution of games have led to different attitudes about banning. Some types of games are released, and that’s that. The players are stuck with whatever is in the game. Other types of games see a patch or two to fix the most egregious bugs and perhaps game balance problems. I’ll lump these two into the same category though as they both basically stick the player with whatever is there after the last patch. These are the types of games I grew up with. Internet gaming has introduced a different type of game. Blizzard (makers of StarCraft, Warcraft 3, Diablo, and World of Warcraft) is a special game developer that provides a free matchmaking service called battle.net for many of its games. Since all of its multiplayer competitive games are played over this service, Blizzard can (and does) gather an incredible amount of data about how the games are played, how quickly they end, which tactics are successful, which maps are played, etc. They continue to balance their games though new patches years after release. So-called massively multiplayer games like EverQuest and World of Warcraft, though not zero-sum competitive games, are also constantly monitored and patched by their developers. Players currently pay a monthly fee to play these types of games and thereby financially support large development teams who constantly improve and tweak the game. The entire notion of radically patching and altering a game after its release may have many desirable properties, but it also has created an attitude among developers that they can release a somewhat buggy and imbalanced game and just patch it later. It is no surprise then that players of this type of game see differently than players of more “static” games on the issue of banning and altering a game. To players of my kind of games, banning is an ultra-extreme measure. To players of some internet games, the changing of game balance can be an everyday occurrence, as can the fixing of bugs. The “constant patching” approach by developers also often leads to laziness on the part of the players; there’s less reward for trying as hard as you can within the given rules, because if you are successful, your tactic will just be patched into obsolescence anyway. You might be a footnote someplace, but you won’t still be winning. It gets worse in most massively multiplayer games, where you can actually be banned—permanently—for playing within the rules they created, but playing in a way they had not intended. Sometimes, a tactic can be hard to detect. If you can’t reliably detect something, you certainly can’t enforce penalties on it. In a fighting game, a trick might make a move invulnerable that shouldn’t be, but actually detecting every time the trick is used might be nearly impossible. Or consider a real-time strategy game, where a trick might give your units a few more hit points than normal, but again, detecting this might be nearly impossible in a real game. If something is to be banned from tournament play, it must be reasonably easy to identify when it happens or to prevent it from ever happening at all. The thing to be banned must be able to be “completely defined.” Imagine that in a fighting game, repeating a certain sequence of five moves over and over is the best tactic in the game. Further suppose that doing so is “taboo” and that players want to ban it. There is no concrete definition of exactly what must be banned. Can players do three repetitions of the five moves? What about two reps? What about one? What about repeating the first four moves and omitting the fifth? Is that okay? The game becomes a test of who is willing to play as closely as possible to the “taboo tactic” without breaking the (arbitrary) letter of the law defining the tactic. Or in a first-person shooter game, consider the notion of banning “camping” (sitting in one place for too long). No friendly agreement between the players is necessary for the ban, which at least means it’s enforceable. The server can monitor the positions of players, and it knows exactly who breaks the rule and can hand out penalties accordingly. The ban is enforceable, but the problem is being able to completely define camping. If camping is defined as staying within one zone for 3 minutes, and if it really is the best tactic, then sitting in that zone for 2 minutes 59 seconds becomes the best tactic. It’s a slippery slope because there will always exist camping tactics arbitrarily close to the specific kind of camping that is banned. Here’s an example of a completely defined game element. In the card game Magic: The Gathering, if a particular card is deemed to be too good, then it is possible to ban it. One can define completely that “that card cannot be used.” There is no fear of players still “sort of” using it, in the same way they could still “sort of” repeat the moves from the fighting game, or “sort of” camp for 2 minutes 59 seconds above. The card is a discrete entity that can feasibly be banned. Here is the whole issue, of course. If it isn’t warranted to ban something, we don’t need to even consider whether it’s enforceable or discrete. The great lesson of competitive games is that hardly anything warrants a ban. A bug that gives players a small advantage does not warrant a ban. In fact, it’s common. Many players don’t even realize they are using bugs, but instead view them as “advanced tactics.” Even bugs that have a huge effect on gameplay are usually not warranted to be banned. The game may change with the new tactic, but games are resilient and there tend to be countermeasures (sometimes other bugs) to almost everything. In the fighting game Street Fighter Alpha 2, there is a bug that allows the player to activate a very damaging move (called “Custom Combo”) against an opponent who is standing up (not crouching). The designers surely intended a standing opponent to be able to crouch and block this move upon seeing it, but if executed correctly, he cannot. It has a huge impact on the way the game is played (standing up is now quite dangerous), but there is still an excellent game left even after this technique is known. At first glance, one might think that attacking is too dangerous because it usually involves standing up. Closer examination shows that the attacker can stick out moves to knock the defender out of his Custom Combo, should he try it. Basically, the bug can be dealt with. This game-changing tactic is referred to by players as the “Valle CC” after its inventor, Alex Valle (more on him later). As another example, consider the puzzle game Super Puzzle Fighter II Turbo. It’s vaguely like Tetris. In this game, blocks of various colors fall into your basin and you try to match up the colors to break these blocks to fill up your opponent’s basin. If you fill up his basin to the top, you win. Puzzle Fighter has a game-altering bug. A feature called the diamond lets the player break all blocks of a certain color on his own side (even if they aren’t lined up) and send blocks to the opponent’s side. Usually, doing this means sending much, much fewer blocks than if the player had broken all the blocks of that color manually. It’s a tradeoff since the diamond allows the player to break all those blocks instantly, but at the price of a smaller attack. There is a bug, though, called the “diamond trick” that allows the player to send even more blocks with the diamond than he would have sent breaking all his blocks of that color manually. The diamond goes from “get me out of trouble” to being a serious, game-ending thwomp. It’s nearly impossible to defeat a player who uses the diamond trick without using it yourself. Amongst players who all know this trick, there is still a good game. One player can use his diamond trick to cancel out the other player’s. Each player gets diamond every twenty-fifth piece, so you can count on the other player getting his diamond about the same time you get yours. You can also just break a lot of blocks right when the opponent does his diamond trick. This will allow you to cancel some of the incoming block, but still give you a pretty full basin. A peculiarity of Puzzle Fighter is that when your basin is nearly full, you then have a lot of ammunition to send back to the opponent. A clever player can turn the other player’s huge diamond trick into a stockpile of ammunition to fire back for the win. In the end, the trick merely changes the game and does not destroy it, and is certainly not worthy of banning. How does one know if a bug destroys the game or even if a legitimate tactic destroys it? The rule of thumb is to assume it doesn’t and keep playing, because 99% of the time, as good as the tactic may be, there will either be a way to counter it or other even better tactics. Prematurely banning something is the scrub’s way. It prevents the scrub from ever discovering the counter to the Valle CC or the diamond trick. It also creates artificial rules that alter the game, when it’s entirely possible that the game was just fine the way it was. It also usually leads to an avalanche of bans in order to be consistent with the first. 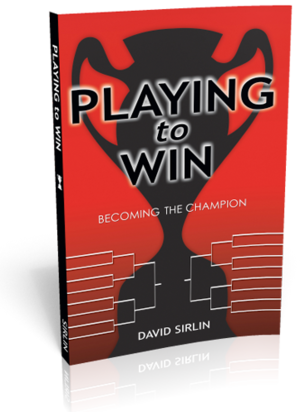 When players think they have found a game-breaking tactic, I advise them to go win some tournaments with it. If they can prove that the game really is reduced to just that tactic, then perhaps a ban is warranted. It’s extremely rare that a player is ever able to prove this though. In fact, I don’t even have any examples of it. A note to game developers: fix your bugs after release if you have the opportunity to do so. But beware that players enjoy the feeling of wielding “unfair” tactics, and taking that away from them can be a mistake if the “unfair” tactic isn’t powerful enough to single-handedly win tournaments. There are some things so extreme that they can be banned without much testing. These include glitches that crash the game or have radical effects, such as blanking out the opponent’s entire screen, removing his characters, units, or resources from the game, and so forth. Glitches so extreme that they undeniably end or prevent gameplay are worthy of being banned. Likewise, so are glitches that are not equally available to all players. Some glitches in a two player game can only be performed by player 2. It is reasonable to ban such a tactic, even if it’s not overly powerful, just on the basis that all players do not have equal access to it. Only in the most extreme, rare cases should something be banned because it is “too good.” This will be the most common type of ban requested by players, and almost all of their requests will be foolish. Banning a tactic simply because it is “the best” isn’t even warranted. That only reduces the game to all the “second best” tactics, which isn’t necessarily any better of a game than the original game. In fact, it’s often worse! The only reasonable case to ban something because it is “too good” is when that tactic completely dominates the entire game, to the exclusion of other tactics. It is possible, though very rare, that removing an element of the game that is not only “the best” but also “ten times better than anything else in the game” results in a better game. I emphasize that is extremely rare. The most common case is that the player requesting the ban doesn’t fully grasp that the game is, in fact, not all about that one tactic. He should win several tournaments using mainly this tactic to prove his point. Another, far rarer possibility is that he’s right. The game really is shallow and centered on one thing (whether that one thing is a bug or by design is irrelevant). In that case, the best course of action is usually to abandon the game and play one of the hundreds of other readily available good games in the world. Only in the ultra-rare case that the player is right and the game is worth saving and the game without the ultra-tactic is a ten times better game—only then is the notion even worth fighting for. And even in this case, it may take time for the game to mature enough for a great percentage of the best players and tournament organizers to realize that tactic should, indeed, be banned. Before an official ban takes place, there can also be something called “soft ban.” Let’s look at an example. Super Street Fighter 2 Turbo, or “Super Turbo,” is a wonderful example of bannings in fighting games. As of this writing, the arcade game is ten years old and still played in tournaments. In fact, there are one or two tournaments per week in this game in Tokyo alone. The game is quite mature, and there is a decade of data about the game’s balance. Many versions of Street Fighter have "secret characters" that are only accessible through a code. Sometimes these characters are good; sometimes they're not. Occasionally, the secret characters are the best in the game as in the game Marvel vs. Capcom 1. Big deal. That's the way that game is. Live with it. But Super Turbo was the first version of Street Fighter to ever have a secret character: the untouchably good Akuma. Most characters in that game cannot beat Akuma. I don't mean it's a tough match--I mean they cannot ever, ever, ever, ever win. Akuma is "broken" in that his air fireball move is something the game simply wasn't designed to handle. He is not merely the best character in the game, but is at least ten times better than other characters. This case is so extreme that all top players in America immediately realized that all tournaments would be Akuma vs. Akuma only, and so the character was banned with basically no debate and has been ever since. I believe this was the correct decision. Japan, however, does not officially ban Akuma from tournaments! They have what is called a "soft ban." This is a tacit understanding amongst all top players that Akuma is too good to be played, and that he destroys an otherwise beautiful game, so they unofficially agree not to play him. There are always a very small number of people who do play him in tournaments, but never the top players. Usually a few poor players try their hand at the god-character and lose, which is utterly humiliating and crowd-pleasing. This is an interesting alternate take on the "hard ban" we have in America. That's all well and good, but Japan has also shown signs of a soft-ban on another character in Super Turbo. I bring up this example because it lives on the threshold. It is just on the edge of what is reasonable to ban because it is "too good." Anything less than this would not be reasonable, so perhaps others can use it as a benchmark to decide what is reasonable in their games. The character in question is the mysteriously named "Old Sagat." Old Sagat is not a secret character like Akuma (or at least he's not as secret!). Old Sagat does not have any moves like Akuma's air fireball that the game was not designed to handle. Old Sagat is arguably the best character in the game (Akuma, of course, doesn't count), but even that is debated by top players! I think almost any expert player would rank him in the top three of all characters, but there isn't even universal agreement that he is the best! Why, then, would any reasonable person even consider banning him? Surely, it must be a group of scrubs who simply don't know how to beat him, and reflexively cry out for a ban. But this is not the case. There seems to be a tacit agreement amongst top players in Japan--a soft ban--on playing Old Sagat. The reason is that many believe the game to have much more variety without Old Sagat. Even if he is only second best in the game by some measure, he flat out beats half the characters in the game with little effort. Half the cast can barely even fight him, let alone beat him. Other top characters in the game, good as they are, win by much more interaction and more "gameplay." Almost every character has a chance against the other best characters in the game. The result of allowing Old Sagat in tournaments is that several other characters, such as Chun Li and Ken, become basically unviable. If someone had made these claims in the game's infancy, no sort of ban would be warranted. Further testing through tournaments would be warranted. But we now have ten years of testing. We don't have all Old Sagat vs. Old Sagat matches in tournaments, but we do know which characters can't beat him and as a result are very rarely played in America. We likewise can see that this same category of characters flourishes in Japan, where Old Sagats are rare and only played by the occasional violator of the soft ban. It seems that the added variety of viable characters might outweigh the lack of Old Sagat. Is this ban warranted then? To be honest, I am not totally convinced that it is, but it is just barely in the ballpark of reasonableness since there is a decade of data on which to base the claim.